There’s no rest for the wicked. Or talented American football stars, apparently. 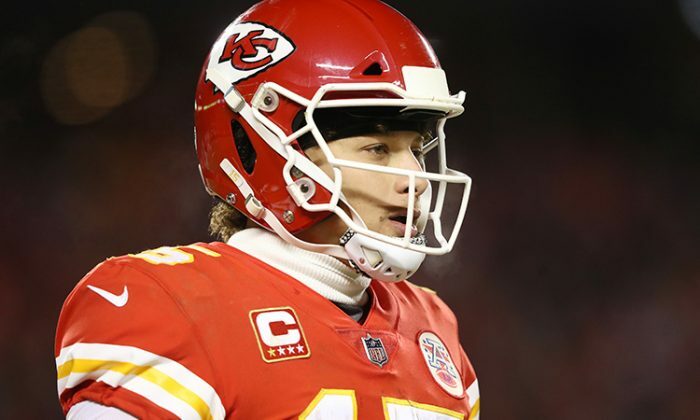 Kansas City Chiefs’ quarterback Patrick Mahomes is using his visibility as a rising star—and a not-insignificant amount of precious free time—to contribute to an amazing new project for homeless veterans. Patrick has spent hours painting houses for homeless U.S. veterans, proving that he’s an awesome team player both on and off the pitch. The “Tiny Houses for Homeless Vets” project is run by former U.S. Army corporal Chris Stout. The project was devised in mind of every man and woman in the Kansas City area who has served in the U.S. military and has since found themselves in need of transitional housing. The Veterans Community Project is not-for-profit, and their latest venture aims to build and allocate 49 homes and a community center by the end of 2019. The project has built 13 homes in the area so far: all “tiny homes,” perfect for the transition from homelessness to a more permanent living situation. Chris hopes that the project will ensure “privacy, dignity, and recovery” for veterans in need of a boost from their community, a community who are collectively indebted to the sacrifices made by these men and women in their service to the country. Chris and his team placed some veterans in newly built accommodation as early back as January of 2018. Some have already moved on to more permanent accommodation: the ultimate aim of the project. Founder Chris experienced trauma in Afghanistan when he was seriously wounded. He had trouble finding gainful employment upon his return to the U.S, suffered debilitating post-traumatic stress, and was let down by the inadequacies of the charities and organizations that were supposed to help veterans like him reintegrate into “normal” civilian life. Chris, thankfully, was never homeless. But he knows the statistics, and he desperately wants to help fellow veterans who have not been as fortunate as himself. Shelters for homeless veterans are notoriously unsafe, and personal space is virtually unheard of. Chris knew the country’s military veterans deserved much better than that. Chris even went so far as to pay for hotel rooms with his own money to keep veterans off the streets. It wasn’t long before Chris and his team had a better—not to mention much more financially sustainable—idea. The Veterans Community Project was born. “We are the place that says ‘yes’ first and figures everything else out later,” Chris affirmed, exemplifying the “can-do” attitude of the project and its hardworking staff. And it hasn’t gone unnoticed: Chris is up for CNN’s 2018 Hero of the Year Award. The results will be announced on Sunday, Feb. 10, 2019. As for Patrick Mahomes, he’s young, he’s tenacious, and he certainly has the height to reach those tricky ceilings with a paintbrush. We think it’s safe to say that Kansas City is proud to have him on their team. Do you support projects like Chris’s that support U.S. veterans to reclaim and rebuild their lives? Share this uplifting article and help spread word of the Kansas City project’s amazing hard work! Bengals’ QB AJ McCarron to Miss Time? Bengals quarterback AJ McCarron has a sprained wrist. Is his season in jeopardy? Also, a look at how the quarterback performed Monday versus the Broncos.